Year: 1953 Item #: 133 Views: 7,995 Comments: No Comments. Refreshes and sustains. When you are tired and need a break from housework, when you feel like relaxing and 'putting your feet up' - then is the time for a glass of delicious, refreshing Lucozade. 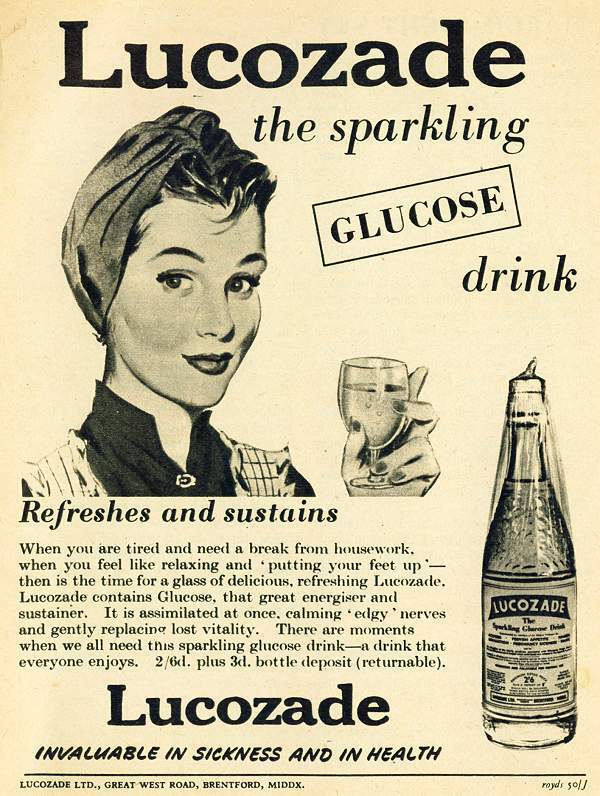 Lucozade contains Glucose, that great energiser and sustainer... Lucozade - Invaluable in Sickness and in Health.